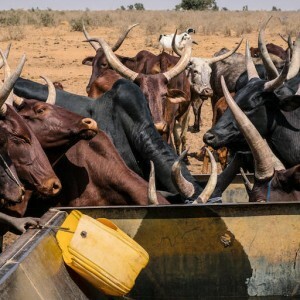 A toxic mix of impunity and organised crime has transformed a low-level conflict between nomadic-pastoral communities and farmers into Nigeria’s deadliest violence. Widespread incidents of crime including cattle theft, arson and arms trafficking drive this conflict. This View on Africa is presented by Martin Ewi, Regional Organised Crime Observatory Coordinator for Southern Africa for the ISS’ ENACT programme. He will discuss the links between transnational organised crime and the herder violence in Nigeria. Every Wednesday from 11h00 - 12h00 CAT (09h00 - 10h00 GMT), ISS researchers from Dakar, Nairobi, Addis Ababa and Pretoria provide expert analysis of major events and trends in Africa. Introductory remarks are followed by an online Q&A with participants. Attend the briefing in person or online via Voiceboxer on your computer or mobile device. To join the briefing online, simply click on the link above, follow the on-screen instructions and select your language preference. Before joining the briefing online, be sure to test your system settings by clicking on this link https://portal.voiceboxer.com/check/audience. Please only use Google Chrome or Firefox to attend the online briefing. For VoiceBoxer system requirements and troubleshooting, click here.